Bicycle hire has been temporarily discontinued until further notice. We will be re-launching our bicycle hire later in 2016. The following paragraphs are for informational purposes only. (December 26, 2015). Easy Kayaks now hires folding bicycles. 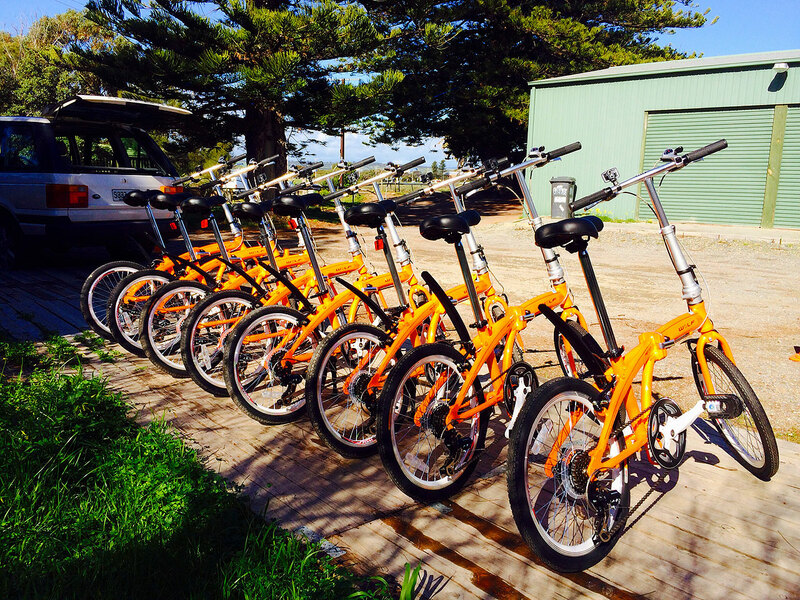 Our easy to ride bike hire in Port Noarlunga is now bike hire in Christies Beach at our new expansion shop at 1/24 Beach Road. 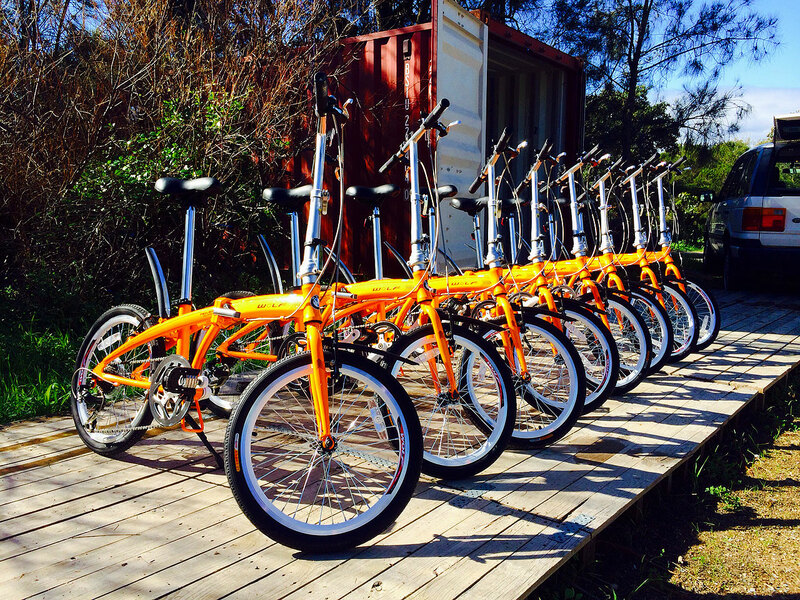 Our easy-to-ride folding bicycles are available for walk-up customers and pre-bookings. We can cater to large parties with our bicycle hire, so pre-bookings are essential if you have a party planned. Folding bicycles are a great way to get around on two wheels. You’ll almost forget that you’re cycling but you will have great fun on our brightly coloured cycles. 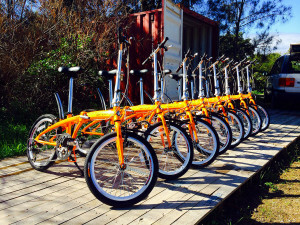 Our folding bicycle hire in Christies Beach offers you the opportunity to ride the local Esplanade south to Moana or north to O’Sullivan Beach. If you want to cycle further afield, feel free to pop the folding bicycle into the boot of your car and take it on a trip for the day. The folding bicycles can be ridden by adults and adjusted to accommodate smaller adults or teenagers. The folding bicycles are easy to ride, light in weight and have a seven-gear Shimano deraileur. The bicycle hire price includes a safety helmet, bicycle alarm, and a very brief overview of the bicycle. Yes, you never forget how to ride one but it’s always a good idea to re-familiarise yourself with how to operate the bicycle.